Enregistrer Sometimes we really do judge a book by its cover - at least long enough to decide whether we might want to dip into it or not. This week I was definitely tempted to pick up a couple (few, more than a few) books for their covers. My complete (and rather tall) stack is over at Reading Reality, but let me present you with a few covers so that you may be equally teased. The sizzling, un-put-downable sequel to the New York Times bestselling Rebel of the Sands, by the Goodreads Choice Awards Best Debut Author of 2016! 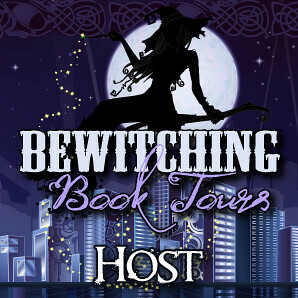 This did not have second book syndrome! It was fantastic! Only made me love this series even more. Since book 1, we've discovered that Amani is not human or Gallan at all, but that she is Demdji, a child of a human and a Djinni, and possesses particularly powerful magic over sand. This part of her needs to be kept quiet though as some factions kill Demdji and others sell their body parts for magical talismans. Instead, her skill with a gun helps her hide her magic, as Demdji cannot use their powers if touching metal. Additionally, we found out that Jin is, in fact, the Rebel Prince's half-brother and son of the Sultan. We also see Amani's cousin Shira and her old friend Tamid again. No spoilers here, but it surprised me! In the first book, there was only hints of magic, but here, with Amani learning to use her Demdji heritage, there's already considerably more. We also are introduced to a real Djinni in the form of Amani's father, and with both, there is more myth and legend that creep up to make an appearance in this book, including more steampunk-like aspects. My favorite part about this read is how Amani gets a chance to change things all on her own, with requested help, but still, she makes the decisions and takes the actions. She becomes more independent and in making her own choices, makes her own messes too. The ending and plot twists will, once again, blow you away. Enregistrer Last week I had a stack that seemed to be several feet (or even meters!) tall. This week was a bit more manageable, but there are still a couple of books that I really, really can't wait to read. 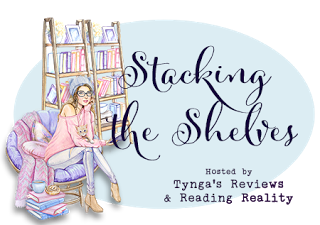 So here are just a couple of teasers from this week's not-so-tall stack over at Reading Reality. 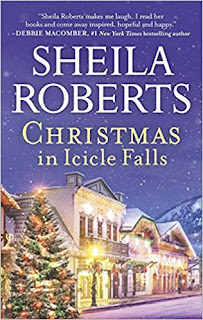 Christmas in Icicle Falls by Sheila Roberts should probably receive a ten-yard penalty for "rushing the season" but this is a lovely series and I can never resist picking them up. I just had to grab Level Up by Cathy Yardley, because I'm in the middle of the second book in this series, One True Pairing, and it's terrific. For all of us geek girls who have dreamed of meeting our favorite fandom crushes, this series looks like a winner. Danger and betrayal, love and loss, secrets and enchantment are woven together in the breathtaking finale to the #1 New York Times bestselling Infernal Devices Trilogy, prequel to the internationally bestselling Mortal Instruments series. THE INFERNAL DEVICES WILL NEVER STOP COMING A net of shadows begins to tighten around the Shadowhunters of the London Institute. Mortmain plans to use his Infernal Devices, an army of pitiless automatons, to destroy the Shadowhunters. He needs only one last item to complete his plan: he needs Tessa Gray. 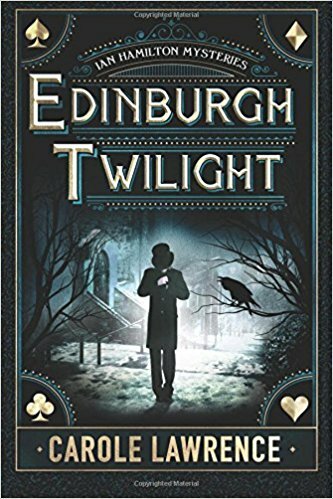 Charlotte Branwell, head of the London Institute, is desperate to find Mortmain before he strikes. 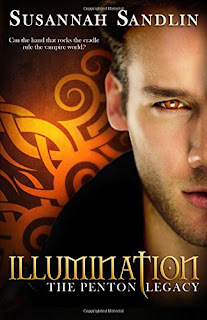 But when Mortmain abducts Tessa, the boys who lay equal claim to her heart, Jem and Will, will do anything to save her. For though Tessa and Jem are now engaged, Will is as much in love with her as ever. As those who love Tessa rally to rescue her from Mortmain’s clutches, Tessa realizes that the only person who can save her is herself. But can a single girl, even one who can command the power of angels, face down an entire army? Danger and betrayal, secrets and enchantment, and the tangled threads of love and loss intertwine as the Shadowhunters are pushed to the very brink of destruction in the breathtaking conclusion to the Infernal Devices trilogy. I am very late to this party. 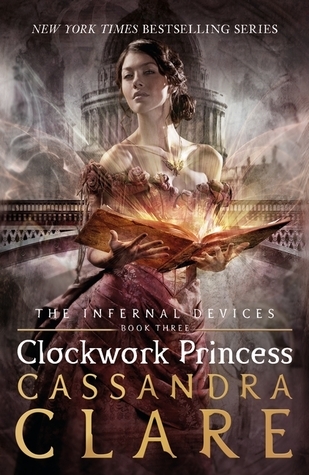 I LOVED Clockwork Prince so much when I read it that I didn't want to read Clockwork Princess right away. I just couldn't face the fact that it was that last book in the trilogy. I was not ready to let go! It was a double-edged knife though because I had a hard time getting back into the story. In fact, I thought the first half was really dragging and it wasn't until Tessa was kidnapped that I finally felt engaged in this last installment. There are many aspects I liked and disliked about this novel so I am in a solid grey zone here. First, Tessa... I loved her a lot more in the previous books. In this one she really feels like a damsel in distress and does no fighting what-so-ever despite having some training now. And the romance killed me. I've always thought she should be with Will, and her engagement with Jem never made sense to me. And I won't spoil anything for you, but I am not happy with how things played out romantically. On the other side, we FINALLY got answers about Tessa. Who her ancestors are, how she came to be, more info about her clockwork angel and toward the end, she finally used per power. Something she should've done more instead of being a defenseless lady (which she shouldn't be!). Will. I love Will and always have. The poor boy is sooo tortured though, sometimes it's hard to read. I loved that he took matters in his own hands though and worked hard toward his goals. I also really like his relationship with Magnus and I wished there was more of it. Those two make quite the pair! One of the aspect I loved most is how strong Charlotte is. She is a natural leader and she is caring and compassionate for her shadowhunters. She works really hard to do what is best even if she has no support. The difficult trail in front of her doesn't make her shy away and I command her for that. Despite her own loses, I was happy for her at the end of this novel. Even though I didn't like this novel as much as I wanted too, the epilogue really kindled my passion for the Shadowhunter world. I feel a urge to re-read The Mortal Instruments series to see if I overlooked the appearances of some of the immortal characters, or if my perspective on some other characters will change now that I know their ancestors. I haven't read book 5 and 6 of that series yet, so I will pick them up very soon, that's for sure. In conclusion, the books in the world are much better than the movie and the TV show. I urge you to pick up 'em up for an entertaining ride! It's been some time that Laini Taylor has been working on this book, and I believe the publishing date got pushed back about 6 months from a previous announcement; so there's been plenty of anticipation! 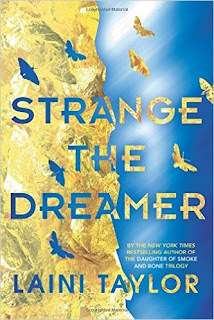 There are two things that are really great about this book: 1) Sarai and Lazlo's romance, which is so atypical and 2) the myth and magic of the lushly descriptive worldbuilding that really brings the world alive if not fully realized/revealed to the reader. To understand a bit of the romance, I'll have to spoiler a bit. Sarai is one of the half-human gods' children living above the city of Weep and all of them have interesting abilities. Sarai is able to turn most of her (her spirit? her soul?) into moths and have them fly down to land on people in the city and influence their dreams. Lazlo is a newcomer to Weep, and when Sarai investigates him, he is able to see her, something no one else has ever been able to do before. They fall in love through the dream and the meeting of their minds, which is really beautiful and full of wonderfully rich imagery. 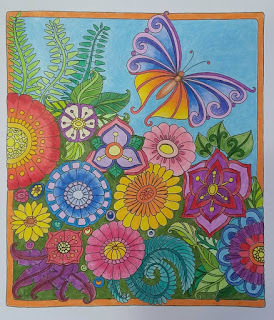 As the reader experiences this with them, it is also the tale of two outsiders finding somewhere to belong and connect, and ultimately, shows possibilities of peace and hope for the future. 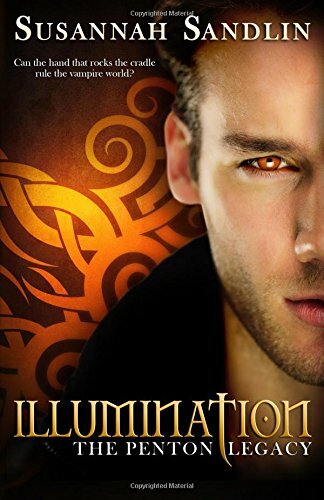 Laini Taylor has always been fantastic with description and making such creative, unusual fantasies and this one is no exception. At times, you're having to read so slow because you just don't want to miss the details and care in the setting creation. Weep, the creatures, descriptions of Lazlo himself...it's worth it to take your time to experience the history, the juxtaposition of opposing forces, and the emotion captured into words. One last thing, you may not realize this is a series while reading it, but once you reach the end, it's rather obvious. So just know, we will probably be waiting over a year for book 2 (tentatively called The Muse of Nightmares though no other details have been released except that it exists as a duology) if you pick this one up, just in case you're a reader who likes to avoid book hangovers! For two great interviews with the author on Strange the Dreamer and writing, see this one from USA Today and the other from Bustle. I didn't purchase any books to read since we last spoke, but I decided to get into coloring so I bought some coloring books on amazon! I really love 3 of them, but if I'd been at a store (thus been able to look inside before I bought), I wouldn't have purchased the one with the lion head on it, it's very disappointing. 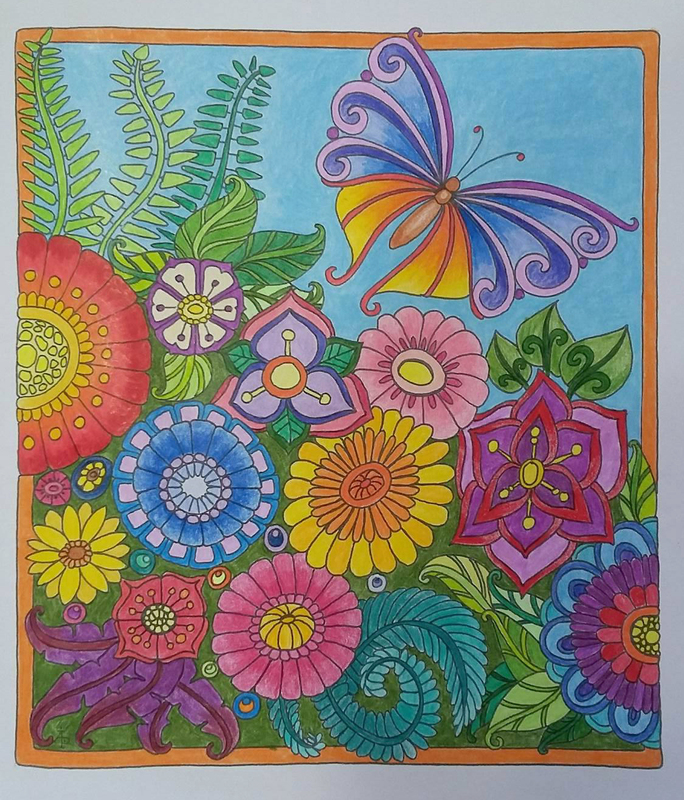 Are you into coloring as well? Please don't forget to leave your STS link in the tool below! "The game's afoot in this fast-paced Victorian mystery! A lovely young American actress has a major problem. It's a cold morning in 1897 when she awakens outside the British Museum, lying face down on the concrete pavement . She has no memories. She does not even know who she is, although she has a vague recollection of the name Sherlock Holmes. She thinks she may have just killed someone, and she knows someone wants to kill her. As she searches for clues to her true identity, she will learn that she is not the only target. Unless she can defeat her evil adversaries, the people most dear to her will die." In this Sherlock Holmes continuation, a young woman is found by a young police constable on the steps of the British Museum after having been assaulted. Her memory is lost, and though she tries to jog her memory, she ends up running into someone who tried to abduct her. The only one who believes her is the policeman, John Kelly, who takes her to his home to his young sister. 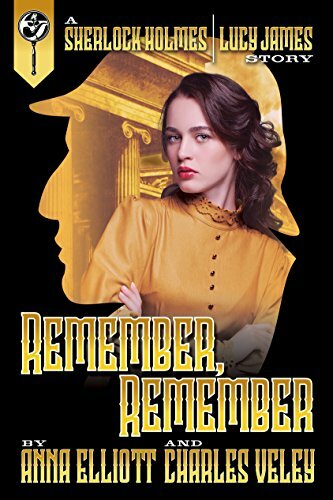 While there, a mysterious man tries to gain entrance and both girls are forced to flee, this time running back to the British Museum where our heroine's memory is jogged enough to finally rediscover her identity, Lucy James. Lucy, remembering her ordeal, immediately runs to Baker Street to deposit the young girl, Becky, for safekeeping while warning Dr. Watson of a plan she had learned of just before she was knocked out. Lucy makes her way to the docks where she is once again trapped by Mr. Ferrars who tried to abduct her earlier. Luckily, Holmes and Kelly arrive on the scene to help. Holmes and his crew are on the tail end of an investigation into a German spy ring of the Kaiser's trying to subvert or attack the British government. Lucy, Holmes's erstwhile daughter, is an actress and talented intellectual much like her famous father. 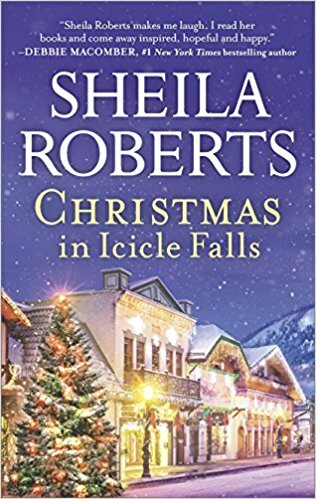 But when Kelly is accused of murder, Lucy and Holmes must try to save him from hanging as well as avoid the spies within the Metropolitan police and keep an eye out for danger from the criminals they're pursuing, Mr. Ferrars and the fake doctor. Despite beginning with amnesia, the plot keeps the reader engaged until the mystery reveals itself. Lucy is a likeable heroine though we don't learn much of her actual background except that she is American, went to boarding schools, is a talent actress/singer, and can defend herself. My favorite part about Lucy was when she pretended to be taken in with the plot for Mr. Ferrars to be her husband and then confronts him as soon as he tries to manhandle her into his carriage. After being scared she was going to be naive and go along with some stranger, I was happy cheering her on to be plucky and determined to avoid getting in the man's carriage. It show her difference of being a more independent, strong feminist young woman who is unafraid to take care of herself even in very uncomfortable situations. This fact alone sets it apart from most Regency historicals or other Sherlock Holmes mysteries. Women are generally damsels in distress, but not Lucy! Even when she must depend on John Kelly's kindness, she still shows herself capable of obtaining things she needs and standing up for herself. Another gem of this book is the dialogue of Holmes, who really does sound like himself, or at least, the version of Holmes that I picture as Benedict Cumberbatch. Also the revelation of Holmes having a daughter and the both of them having to negotiate a relationship when neither are very used to having family, much less sharing feelings, is another interesting bit. It's all very formal and framed with utmost care to be without emotion, stated as facts. I find this quite believable for Sherlock Holmes. 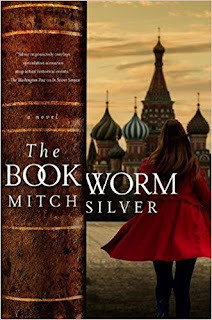 There isn't much detail to the book, which might've dragged it down if included, but the lack of detail, except when narrated by the characters to further the mystery, fits the quick plot and resolution. There's a bit of romance, done as lightly as possible in this era, but still keeps the reader interested and doesn't overwhelm the other aspects of the novel. 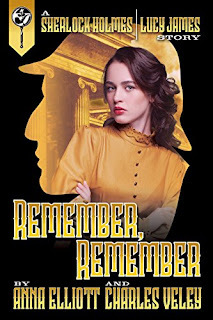 I really enjoyed reading it as it was easy to jump into, fast-paced, and not gory (as mysteries can frequently be) while also being light and fairly true to continuing a possible future of Holmes and Watson. I'd read more and I'm definitely interested in reading more from Anna Elliott. Please note that while this is the third book in the series, it is the first written by Anna Elliott and is the first to center on Lucy James as books one and two, The Last Moriarty and The Wilhelm Conspiracy, deal with Sherlock Holmes. The fourth, The Crown Jewel Mystery is also Lucy James and was just recently released on Kindle only. And here are a couple of teasers from my complete Stacking the Shelves post over at Reading Reality. This week's stack got a bit large (or perhaps that should be tall?) A couple of things I saw at the ALA Conference came in, and a few things I ran across for an article I was writing looked too tempting not to get! A thousand years ago, two young lovers were betrayed—Alger Waterlow to his death, and Hanalea, Queen of the Fells, to a life without love. Now, once again, the Queendom of the Fells seems likely to shatter apart. For young queen Raisa ana'Marianna, maintaining peace even within her own castle walls is nearly impossible; tension between wizards and Clan has reached a fevered pitch. With surrounding kingdoms seeking to prey on the Fells' inner turmoil, Raisa's best hope is to unite her people against a common enemy. But that enemy might be the person with whom she''s falling in love. Through a complicated web of lies and unholy alliances, former streetlord Han Alister has become a member of the Wizard Council of the Fells. Navigating the cut-throat world of blue blood politics has never been more dangerous, and Han seems to inspire hostility among Clan and wizards alike. His only ally is the queen, and despite the perils involved, Han finds it impossible to ignore his feelings for Raisa. Before long, Han finds himself in possession of a secret believed to be lost to history, a discovery powerful enough to unite the people of the Fells. But will the secret die with him before he can use it? A simple, devastating truth concealed by a thousand-year-old lie at last comes to light in this stunning conclusion to the Seven Realms series. Raisa won her battle, she is finally Queen of the Fells, but it only brought even more battles to be fought. Her Queendom is desired by many and she has to fight an invasion with an army of bought swords, the clans and the wizards both want her to marry with one of their own to gain power, and her heart desires only Hans but it seems so impossible. Being Queen right now is much harder then it ever was for her mother, but Raisa is determined to do what is best for her people, steering away from the easy path. Hans is scheming as usual and he is gathering up enemies at the speed of light. He has so many secret project on the side that it gets all tangled up and put him in a very hard situations, even with the Queen. He is used to keeping everything a secret and habits die hard when your life depends on it. It might cost him his heart and his life though if he can't find a way to keep Raisa's among all this crazy mayhem. 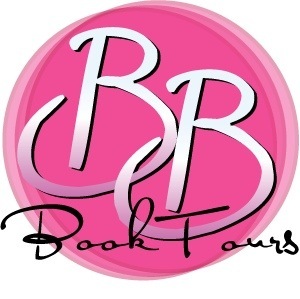 Fire Dancer's past also comes to light in this novel and I was completely flabbergasted. It was nice to see more of him and his mother and turned out to be a solid foundation to Hans when he needed him the most. I never doubted his allegiance, but his strength and faith made the difference for Hans here. This installment is the culmination of so many events and even though I didn't really mention Alger Waterlow aka Crow in my previous reviews, I really have to talk about him here because he has such an important role. Alger (known now as The Demon King) was literally demonized because history is written by the winners. He was betrayed by someone he trusted, captured and tortured by the Bayars who wanted control of a very precious treasure and he managed to hide within his amulet. Hans, who is a very distant relative of Alger, is now in possession of the amulet and it's how they met in the second book. 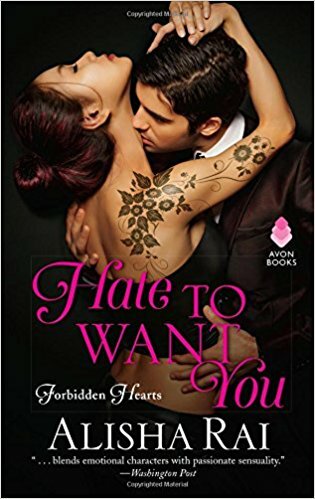 A lot has happened between the two but in this novel, their relationship takes a very interesting turn and I really enjoyed it! Crow really stepped up and I was cheering him on as he helped Hans in his crazy quest. His role and his relationship with Hans made a huge difference in this novel, and I just had to mention it. We really got to know him and his past in this installment and I really loved it. Even the epilogue in this novel is about him. This extremely well written series has an insane world building and I've all four books within two weeks and the transition is honestly seamless. 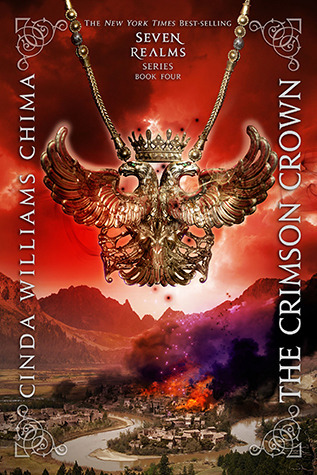 Everything comes together perfectly and The Crimson Crown is the flawless epithet of all the subplots. I've come to care so much for each character that some stressful moments were simply hard to bear because you don't want them to suffer. I really loved how everything came together for this conclusion and the only thing I could've hoped for is an epilogue taking place 6 months or maybe a year later and hopefully see the characters thrive. 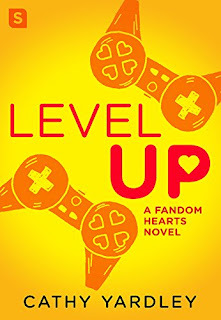 At least there is a spinoff series taking place roughly 25 years later (which I've already read - review to come) and I'm sure you will want to read it too! 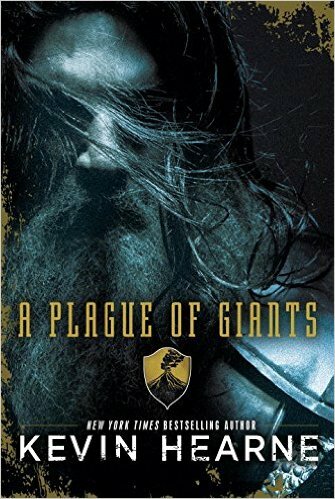 This series is one of my all time favorite and after reading it I feel at loss. I am in search of another epic fantasy series that will make me feel this way again. I swear, I am in withdrawal. 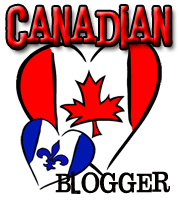 If you have any suggestions for my next literary fix, please leave a comment and get me out of my misery! I'm so glad I picked this book up! I loved it! It creatively blends Arabic legend, fantasy, romance, adventure, and some good old-fashioned gunslinging with a hint of steampunk. Amani is a fierce heroine, one who will desperately fight for her survival and a better life even if it means dying for it. She is immediately likable for her sheer grit and attitude. Amani is being raised by her aunt and uncle, unwillingly, because when she was younger, her mother tried to kill her adopted father and set fire to their house and was shamefully hanged in consequence. Now, Amani is approaching the end of her mother's mourning and will be forced to marry. This act carries echoes of Middle Eastern culture where young girls are given (or taken) as brides for much older men, much like Amani's uncle threatens to do to her. Instead, Amani dreams of escaping to Izman like her aunt Safiyah. When she meets the mysterious Jin, there is also a rebellion occurring. Before the story, the Sultan held a contest called the Sultim for his sons to compete to see who would be his heir. 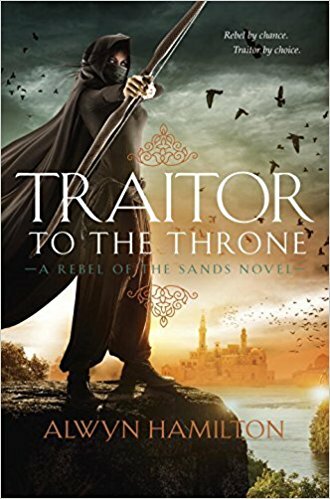 Rumors abound about what actually happened, but the Rebel Prince Ahmed, the son who had disappeared fifteen years earlier, supposedly appeared to compete and afterward began a rebellion to challenge his father's rule. Why? The Sultan has indebted the country to the nearby Gallans and many of his people currently suffer under their greed, cruelty, and oppression of their beliefs. 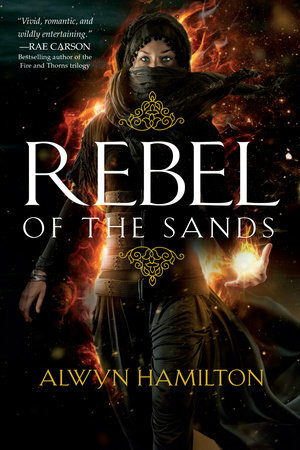 Jin is suspected to be part of the rebellion, and as a result, Amani becomes swept up, especially when she is faced with saving his life or allowing him to die in the desert. In their time together, Jin's and Amani's unlikely dependence on each other has created somewhat of a romance. Amani, an orphan who has only lived this long with a cripple for a friend, has finally discovered someone who sees her as a capable, brave person. She and Jin have formed a bond of trust in their escape and this mutual trust has also left room open for other feelings which comes to a head when Jin is gravely injured. I'm not going to talk about the latter end of the book here as it reveals some big plot points! It is very clean, much like Rae Carson's books. I found this book to be so addictive! I couldn't put it down once I started. I'll talk about some of the magic and plot developments when I cover book two, Traitor to the Throne. This was possibly one of my favorite reads so far this year! 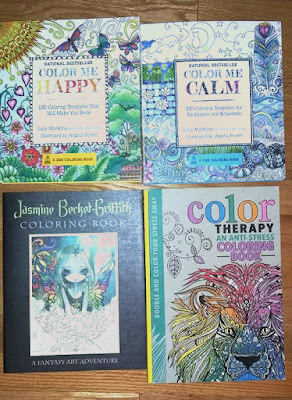 I was lucky enough to get 4 great books for review since the last time I did STS! 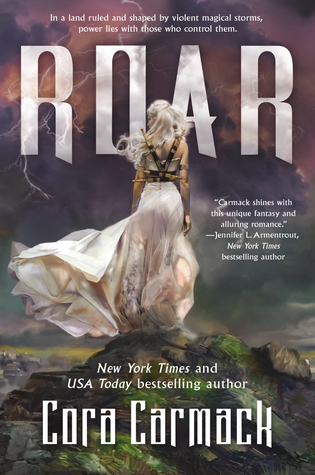 They all look super great, but since I'm in a high fantasy mood lately Roar will be the first I pick up! What did you add to your shelves lately?